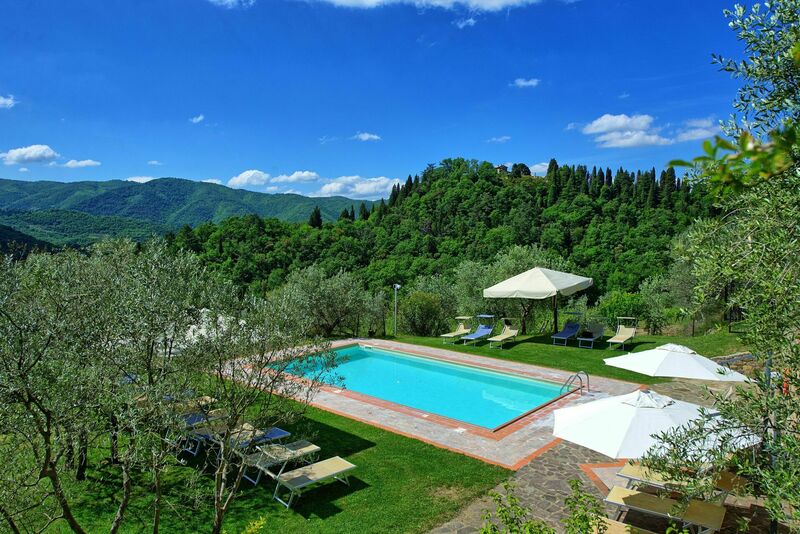 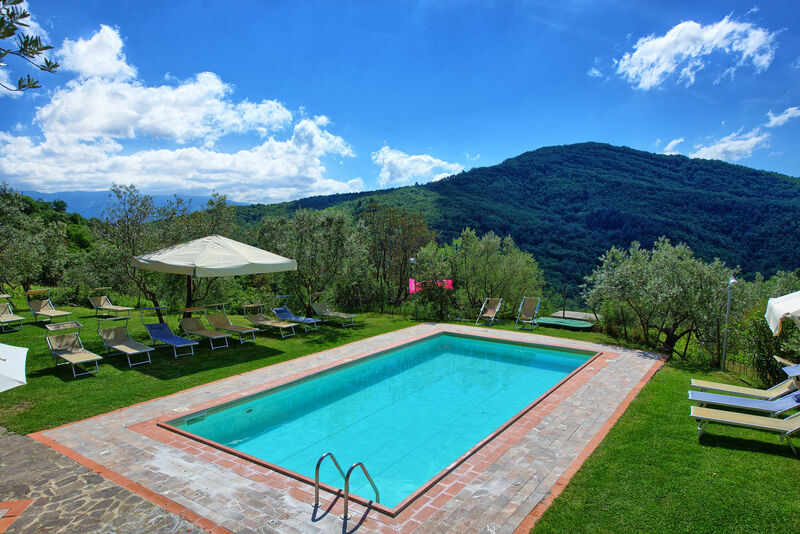 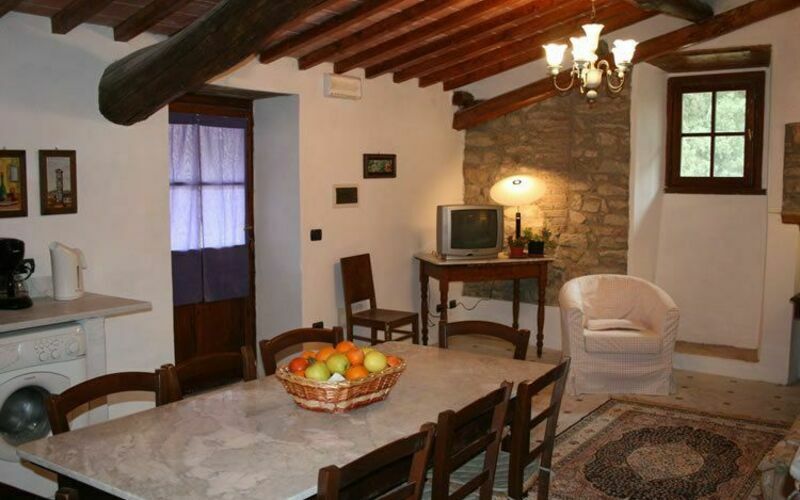 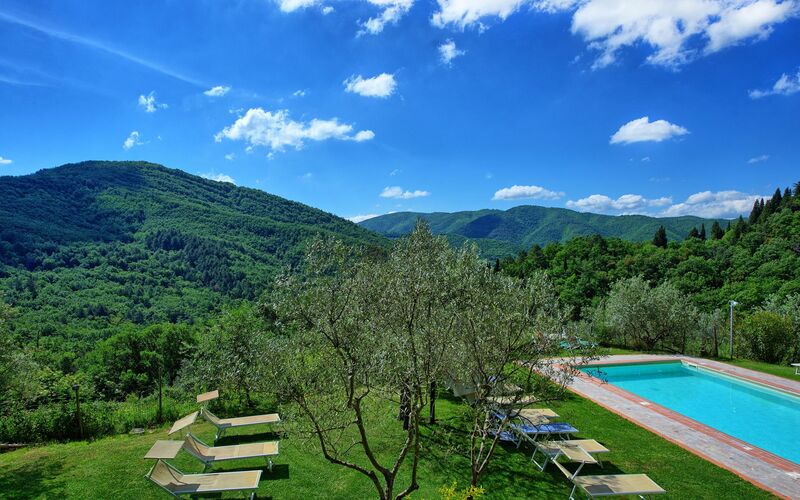 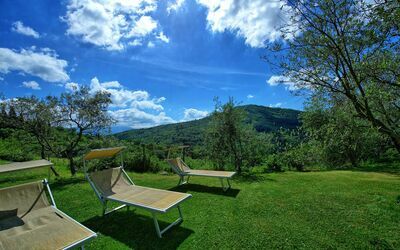 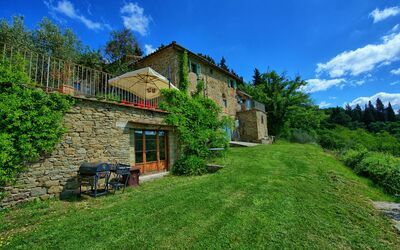 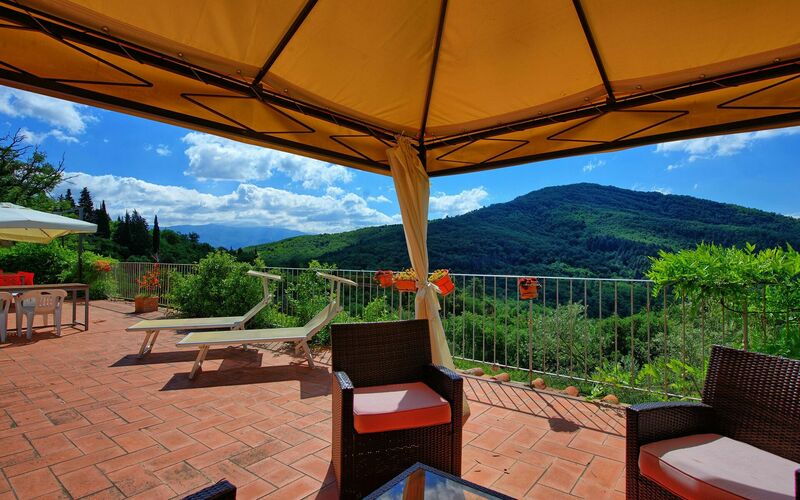 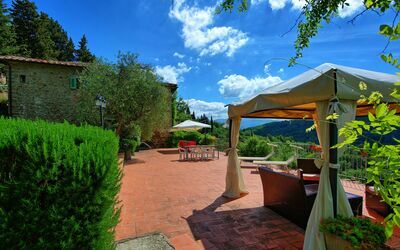 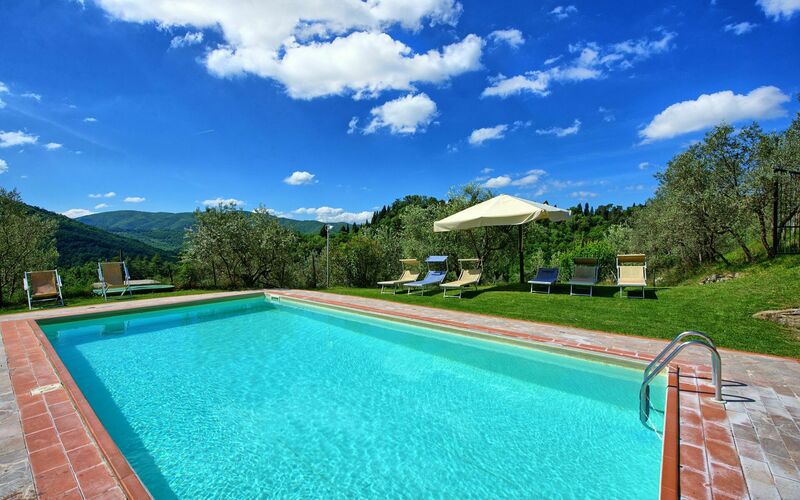 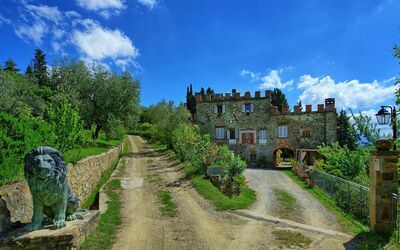 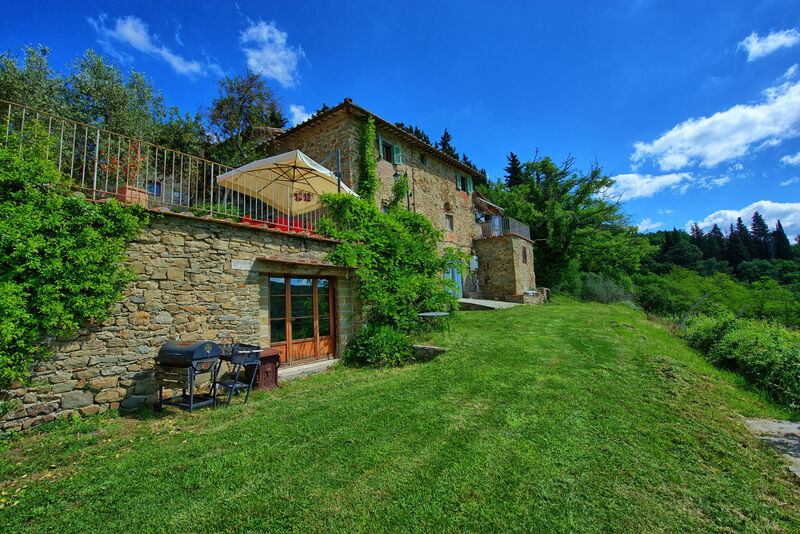 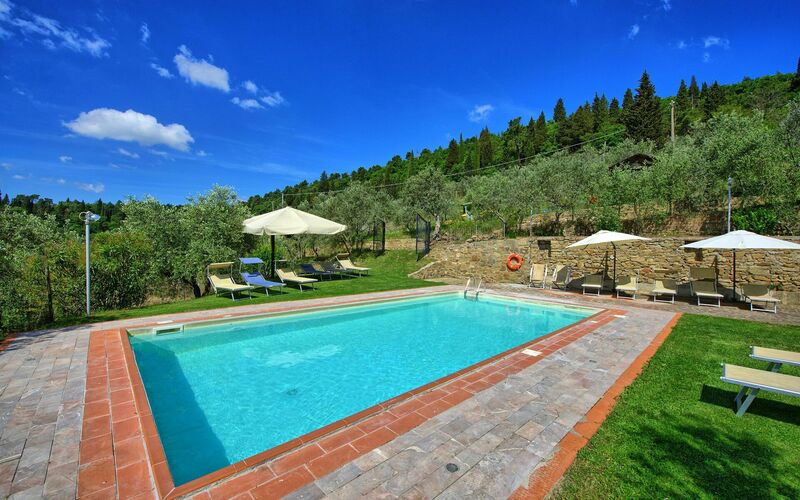 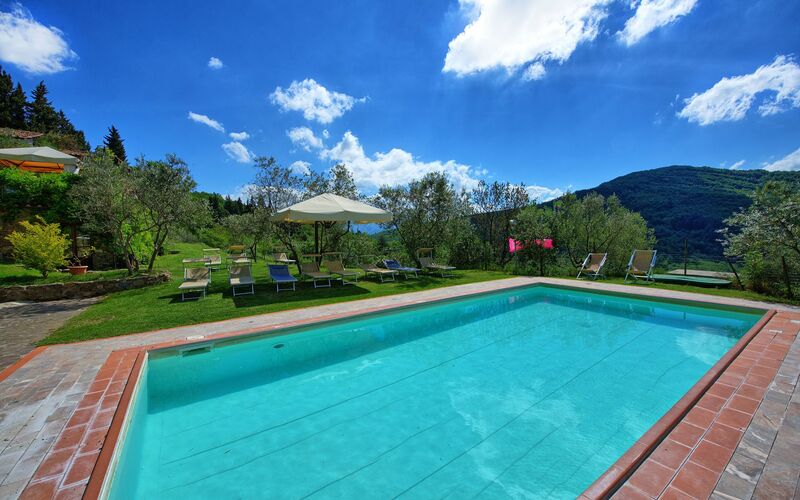 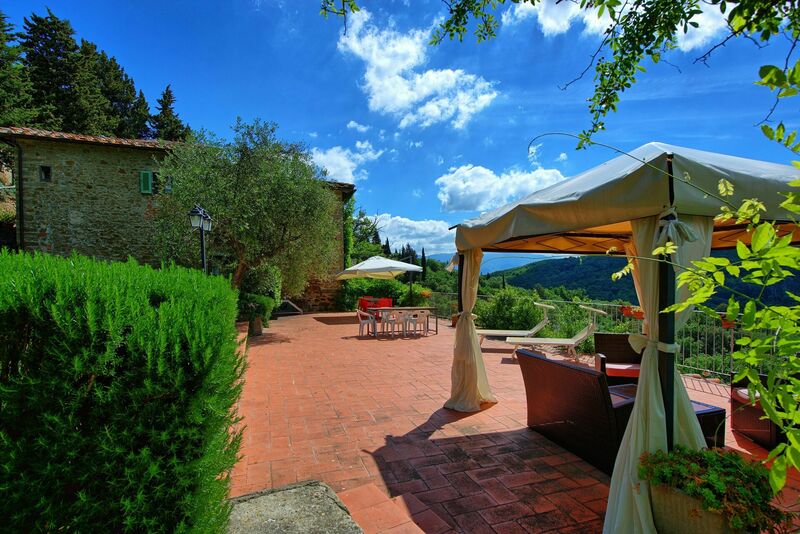 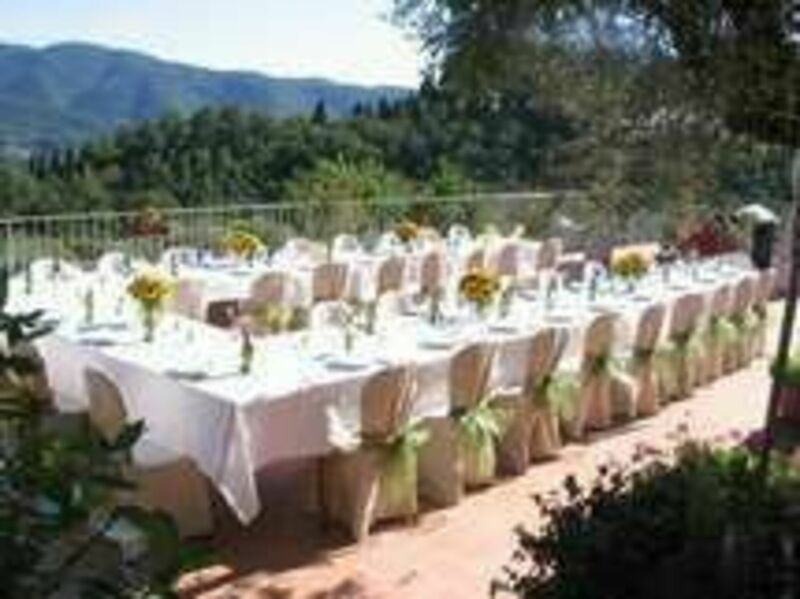 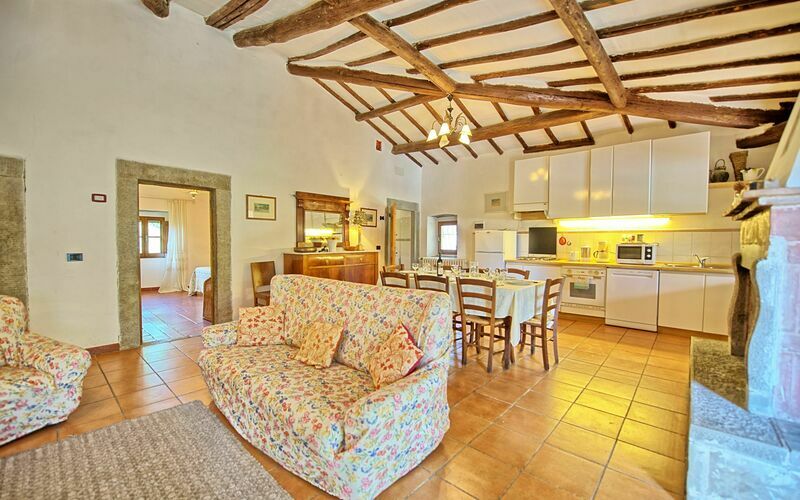 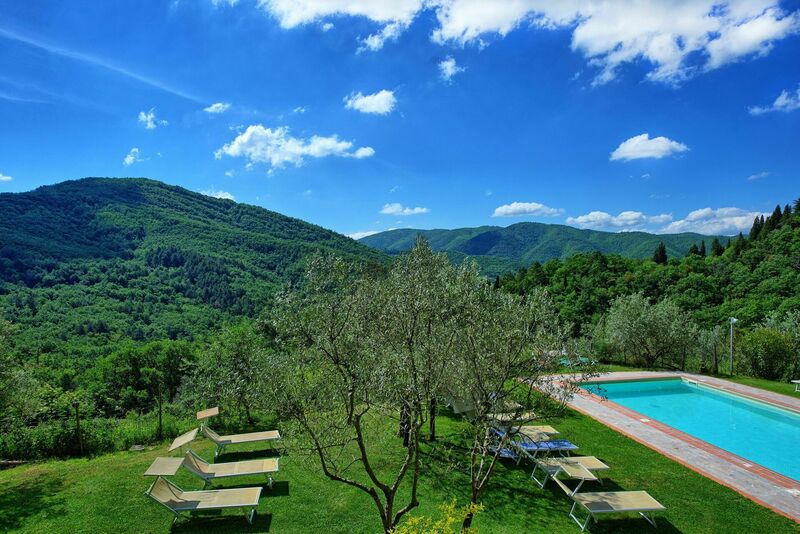 Beautiful villa dating back to the 13th century, situated in a panoramic spot among the verdant Chianti hills. 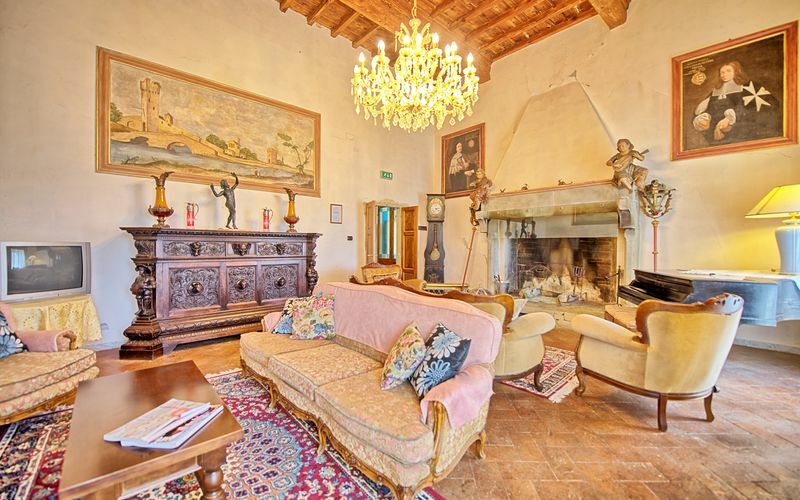 The villa has been restored respecting the original architecture and divided into 7 comfortable apartments, all furnished in typical Tuscan style, matching the classic taste of antique. 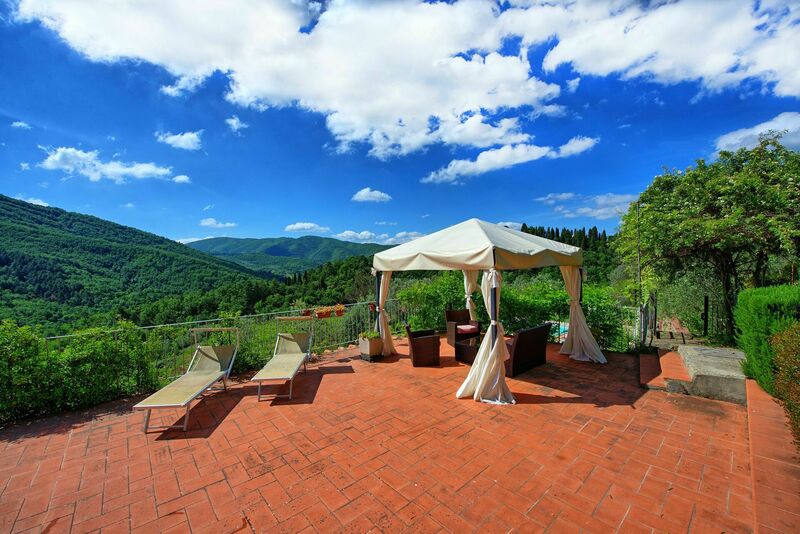 The large garden surrounds the whole property and from the swimming pool guests can enjoy a splendid view on the woods and forests of this area. 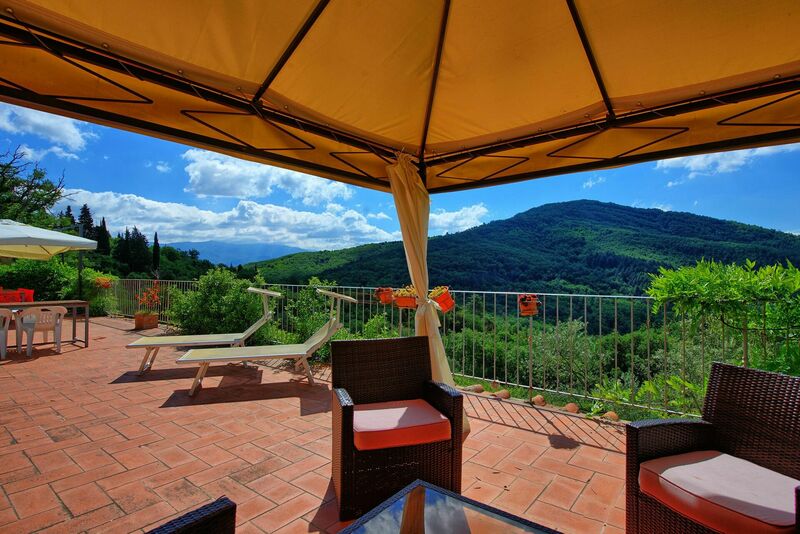 All the apartments have a private entrance and a personal outdoor equipped area. 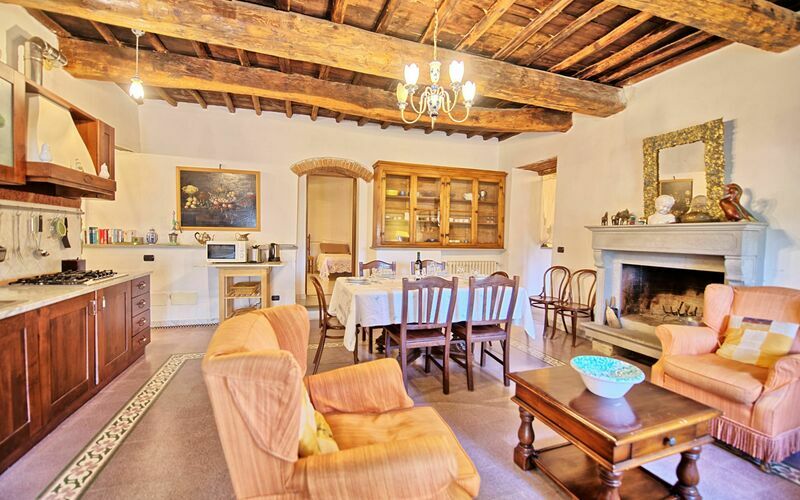 It is possible to rent the 7 apartments together for 49 sleeps in total. The access to the property is via an unpaved but well-maintained road (3,5 km). 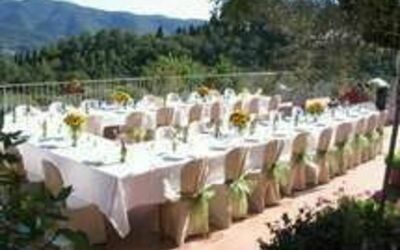 Distances: San Polo in Chianti with all kinds of shops 3,5 km, Greve in Chianti 15 km, Florence 25 km, Siena 55 km, San Gimignano approx. 40 km. 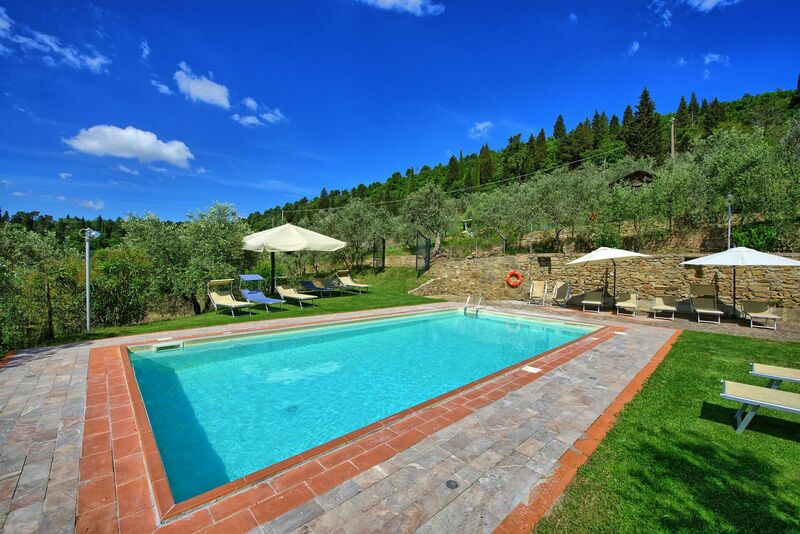 At guests’ disposal: well equipped garden, shared swimming pool (10 x 5 m - max. 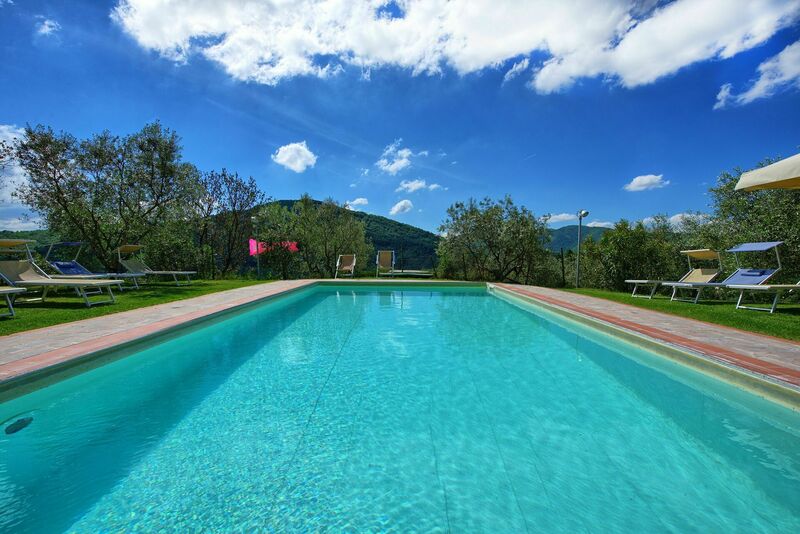 depth 1,5 m – open from 01/05 to 30/09). 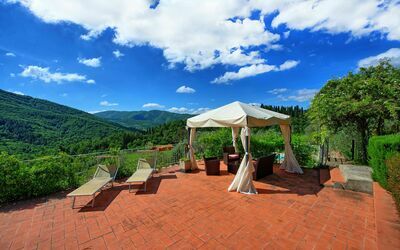 Internet access (wi-fi) from the garden. 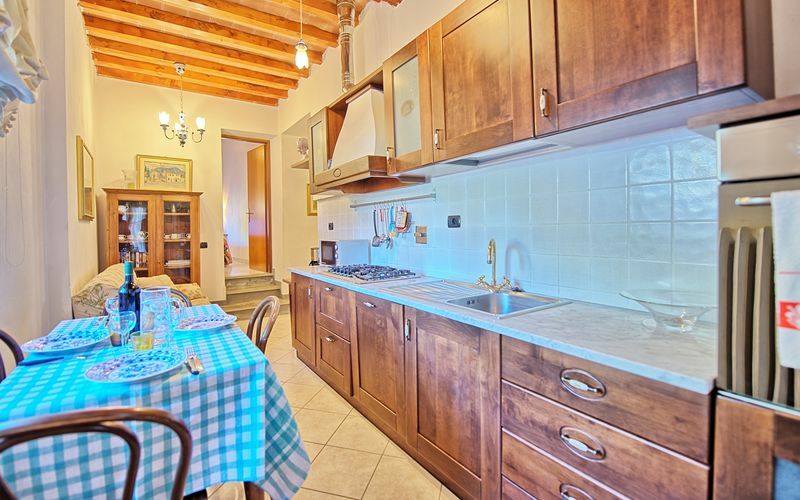 All the apartments are provided with barbecue. 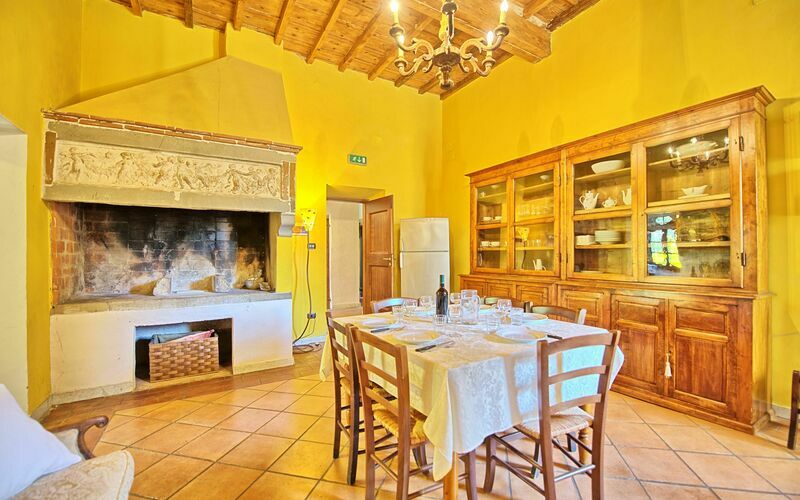 The most ancient part of the property has been converted into a private restaurant for villa guests. 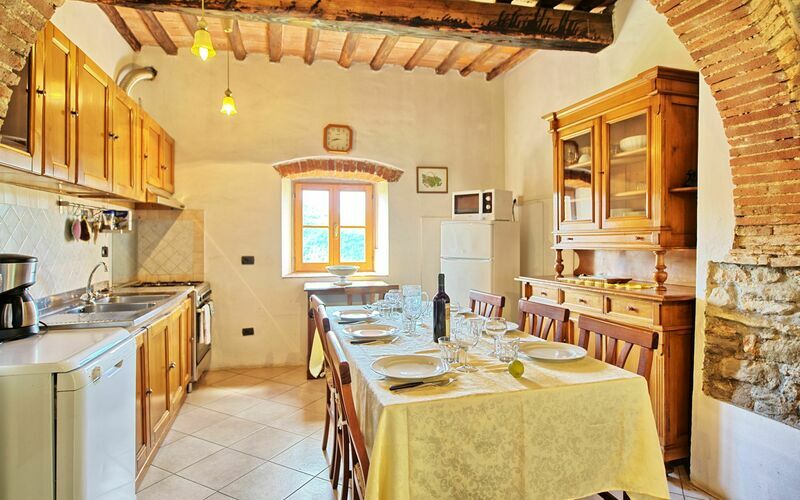 Cookery classes can be organised on request.